An APC party agent who preferred to be anonymous confided with our reporter that almost all the parties were involved in vote buying in Ede. He told our correspondent that the ADP in a door-to-door 'evangelism' distributed between N1,000 and N2,000 last night while the PDP and the APC gave out their cash this morning. Like the ADP, the PDP and the APC have been giving out money to voters in Asunmo ward, Unit 1, Talafia area, Ede. He said, "As a party agent, I have over N100,000 with me and I will give it out to those that vote for the APC." 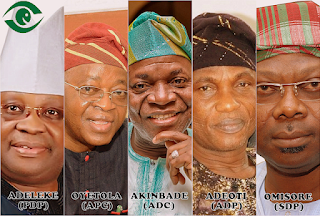 The All Progressives Congress candidate in the Osun State governorship election, Mr Gboyega Oyetola, said he believed he would win because he had laboured so hard. 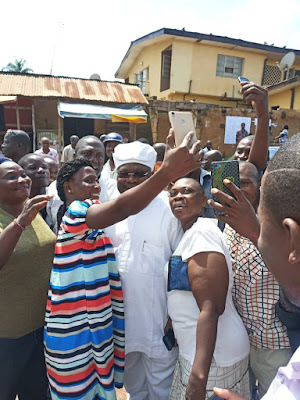 11:37 AM - Social Democratic Party gubernatorial candidate, Sen Iyiola Omisore, takes selfie with voters before casting his own vote. 11:30 AM - A minor fight was observed between an APC and PDP party agent at Ward 2, Pu 7 in Ejigbo shopping plaza. It was learnt that the misunderstanding was caused by a woman whose name appeared twice in the voters’ register. However, security operatives in the centre settled the misunderstanding and promised to sort out the issue. 11:20 AM - Omisore arrives at PU 3, Ward 1, Ife East LGA to cast his vote. 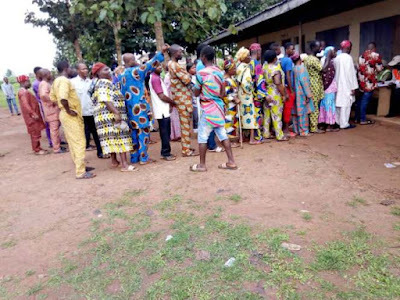 11:14 AM - A fresh allegation by the PDP suggest that at Units 3 and 6 of Ifelodun LG, the card readers have not been able to clear a single voter and calls through the electoral official the LG aren't going through. 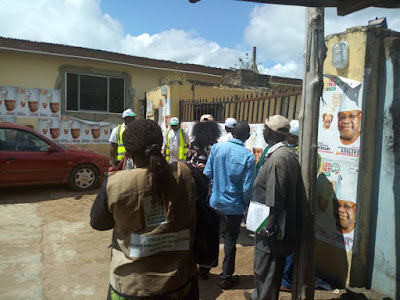 11:00 AM - NigerianEye correspondents can confirm that a PDP party agent has been whisked away by security agent in the Obada Area of Ede while he was attempting to distribute money to the voters. 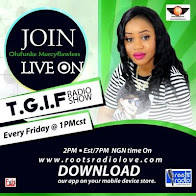 10:44AM - A security operative of the NSCDC who preferred to be anonymous complained that the much publicised allowance of N50,000 due to them has been slashed to N15,000 by INEC. He said, "The original plan was that we were supposed to be given between N50,000 and N150,000, depending on our level. But as things stands now, some got N15,000, some N8,000 while some got N4,500," he said. 10:38 AM - The governorship candidate of the Providence People's Congress, Prof Ife Adewumi, has said he has no complaint about the election yet. He said although it was too early to conclude that the election was satisfactory, he has no reason to complain yet. 10:05 AM - Voting is in session at St. Anthony Primary school, PU 001, Ward 01, Oba Ojomu registration area of Odò Otin Local Government Area. Voting is going on peacefully in an orderly manner but it seems some vote buying is ongoing in connivance with security officials. 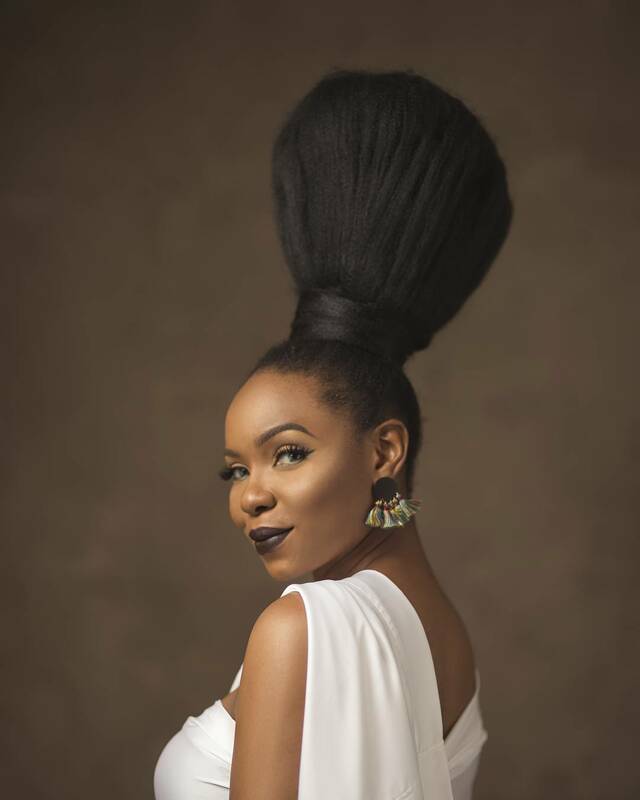 An unidentified man, tall, dark with a native attire walked up to this observer and whispered in my ears, in Yoruba saying “Ẹ̀gbọ́n, kò sì wàhálà, a má settle yín (There is no problem here, we will give you some money).” He said unnamed persons have gone to bring another round of cash. 9:45 AM - Ward 3, Unit 8A and B, Irewole LGA. However, the PO complained that the card reader is slow. This could lead to a long queue. 9:35 AM Ward 05, PU 007, Ataoja E, Odofin Peter Ajibola, Osogbo LG, an SDP agent was seen distributing puff puff to people on the queue. Not everyone collected it though. 9:25 AM - Large turnout of voters at Post Office, Gidigbo II, Ward 12.,Iwo Local Government.The polling unit of the ADP candidate, Moshood Adeoti. He is not here yet but voting is going on without hitch and there is no reported issue with the card readers. DSS officials and armed police officer are at the entrance of the polling unit. 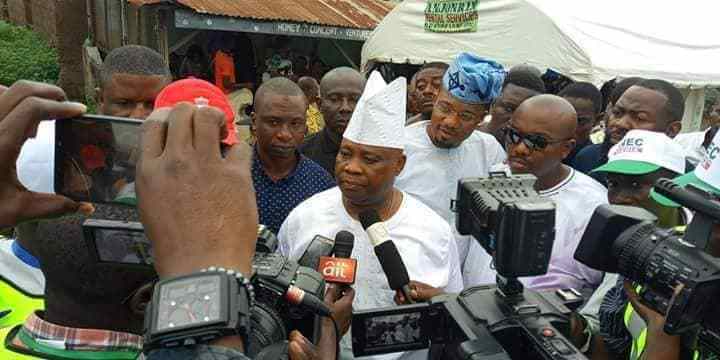 The candidate of the People’s Democratic Party (PDP) in the ongoing Osun election, Ademola Adeleke, has expressed concern over the functionality of card readers in the process. He raised this concern after casting his vote at Polling Unit 9, Ward 2, Ede North Local Government on Saturday. Mr Adeleke voted some minutes after 8a.m. Speaking with journalists after exercising his right, he asserted his optimism at victory while raising concern over the card readers. He said, “I hope the card readers work because it took process before the card reader started working. So far so good, it’s been peaceful. Responding to questions on accusations against him before election, Mr Adeleke said such moves by his opponent were borne out of fear. “All allegations levelled against me is (are) false. It’s all lies. 9:08 AM - voting going on steadily at Ward 7 PU 12, Iwo LG, as the card reader is working well and registered voters are voting in succession. PU 008, Ward 02, Ipetu-Ile, Surajudeen Primary School, Obokun LG, voters on the queue to exercise their franchise. 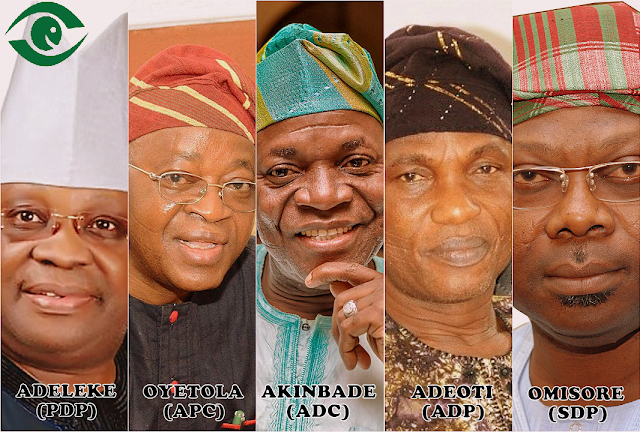 The LG chairman of Obokun LG, Barrister Joke will be voting here. 8:59 AM - Ara 2/ward 3/Obada village/Egbedore LG, election materials,and INEC officials are yet to get to their polling units (PUs). They complained about the bad roads, so they are planning to go by biketo the PUs. 8:55 AM - AUD primary school, Ward 6, Polling unit 6, Orolu L.G. Olufon area. Elderly men and women are given due preference to vote before others. 8:48 AM - Ward 5, Unit 9, Irewole LGA. Voting queue is moving very slowly. 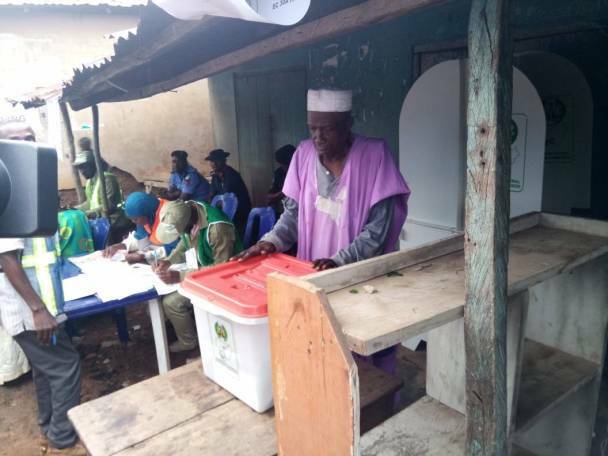 8:45 AM - At polling unit 10, voting point 1, Balogun Imole Ikirun , Ifelodun local government, voters, party agents and security officials are having a serious disagreement on how elderly ones should vote: whether they should be assisted by their relatives or no. Ola-Oluwa LG: At 8:38 AM. Iwo-Oke II. Now, the card verification is successful, but not the fingerprint authentication. The officials are debating what to do. 8:39 AM - voting has commenced at PU 003, St. Mary primary school, Igbaye, RA 03, Odò Otin with presiding officer instructing voters not to come with smart phones when they are about to vote. There are 608 registered voters on the list. There are 3 policemen, 1 NSCDC officer, and one immigration officer at the election scene. 8:29 AM - At Balogun Imole polling unit, Ikirun, Ifelodun local government, The PO is explaining to voters how to vote after the commencement of voting. At PU 003– Baptist PRY School, Oke Ila. Ward 05- OBAALE, Ifedayo local government. A group of police officers trooped in with their guns openly handled. The officer leading the troop sternly warns the INEC officers and security officers around not to allow anybody to show his/her votes to anybody. And they should never allow vote buying. 8:25 AM - PU 002,RA 5 (Ataoja E) LGA 30( OSOGBO), Osogbo grammar school, election commences and it was attested by the PO that there are 946 registered voters. 8:18AM - PU6, Ward 2, Osolo Hall, Oja Oba, Boripe LG, electorates seen checking their names. A Corps member, Idris, said there are 748 electorates expected to vote at the two voting points at the unit. There are 7 police officers presently on duty at the unit. 8:08AM - Ward 5, Unit 9, Irewole LGA, party agents were bent on ensuring that all the code of conduct were well spelt out. One even warned the APO (Assistant presiding officer) who is about to commence the process to stop and let everyone be informed of the number of materials deployed. The APO operating the machine could not get hold of its operations until the PO came to the rescue. Ola-Oluwa LG: At 8:40AM. Iwo-Oke II. Voters are getting impatient and threatening to leave. Voting yet to commence. 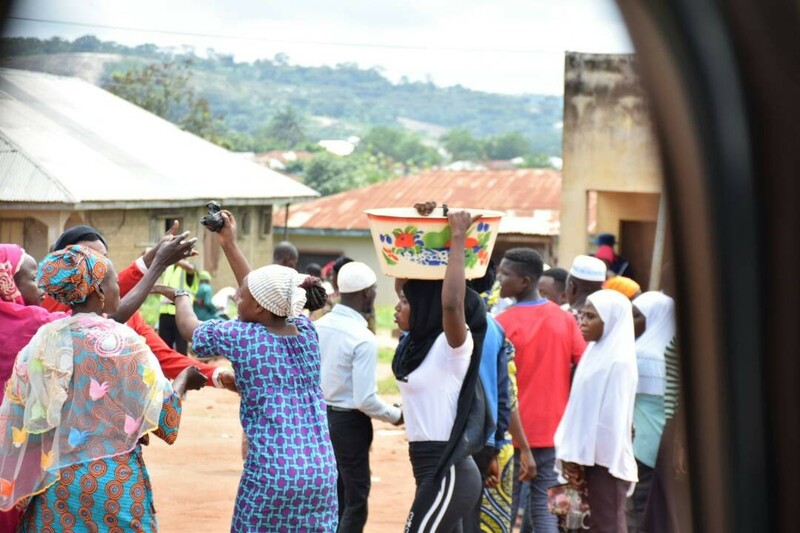 8:00AM - 1,246,915 voters are expected to troop to the polling booths in Osun State today to elect the successor of the incumbent governor, Ogbeni Rauf Aregbesola.